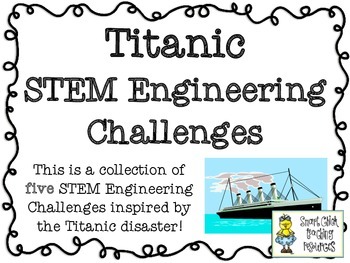 The Titanic Disaster: STEM Engineering Challenges Five Pack! 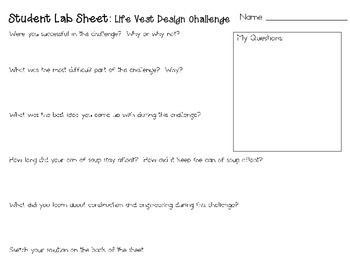 Can your students engineer topics related to the sinking of the Titanic? 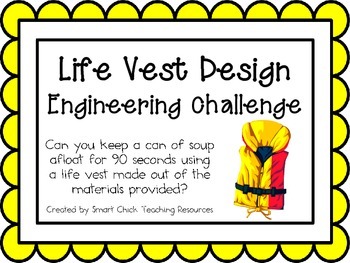 Try these five STEM Engineering Challenges to find out! 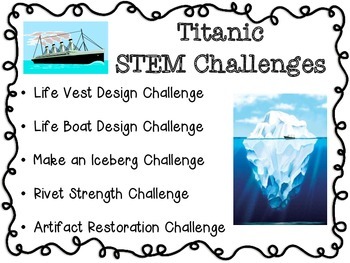 These challenges are a great way to incorporate STEM learning with the topic of the Titanic! Students must design and construct a variety of items related to the disaster! Stay tuned for additional STEM theme packs! Visit my store to find even more STEM challenges! There are over 75 of them!